The Horizon is a marvelously designed fiberglass swimming pool. 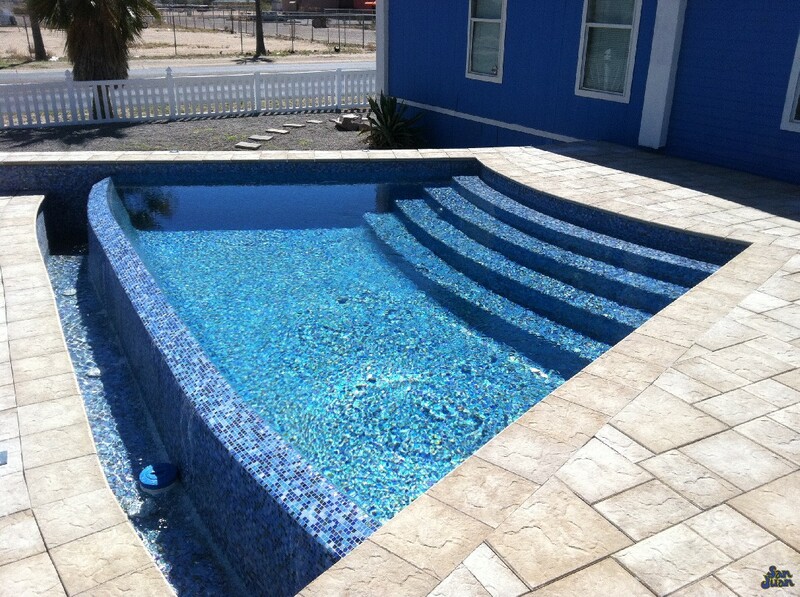 This unique & modern pool shape provides a beautiful set of curved entry steps. Secondly, we’ve provided a wide & curved accent wall with a negative edge effect. 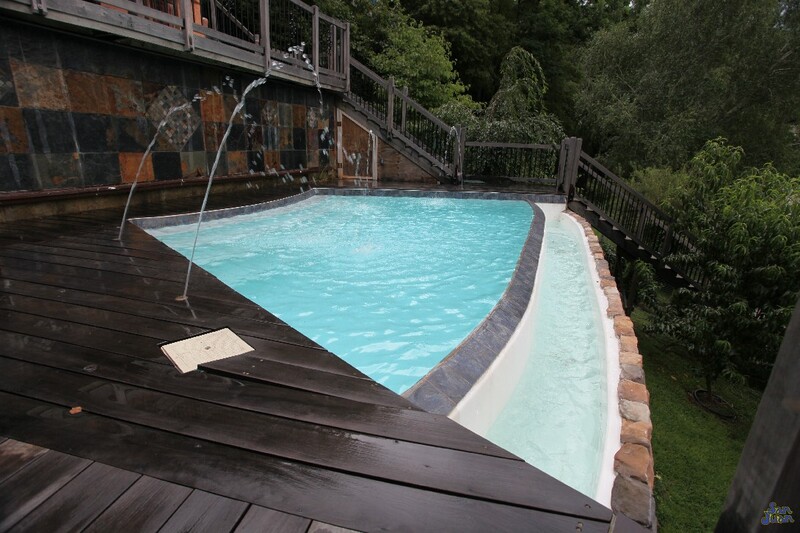 This fantastic pool shape is designed to create that breath taking wow factor! 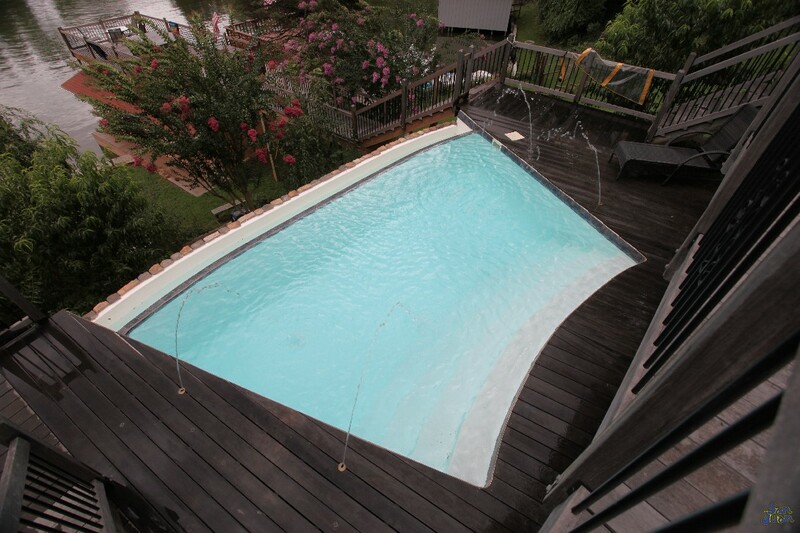 Ladies and gentlemen, San Juan Pools introduces The Horizon fiberglass swimming pool! This stunning fiberglass pool shape is truly unique and in a category all in its own. For starters, we’ve open the gates of design by creating a wide curved set of entry steps. These curved steps elegantly walk the swimmer out into a wide swimming pool basin. The Horizon is another flat bottom fiberglass pool design. This flat bottom layout sports a maximum depth of only 4′ 9″. We designed The Horizon to be a comfortable gathering space with plenty of room for entertaining and conversing with guests. You’re sure to wow all of your swimmers by this unique & modern pool design. In fact, we dare say you will be hard pressed to find a fiberglass pool shape that is more unique than the Horizon. As previously stated, we designed the Horizon to create a stunning & dramatic entrance. 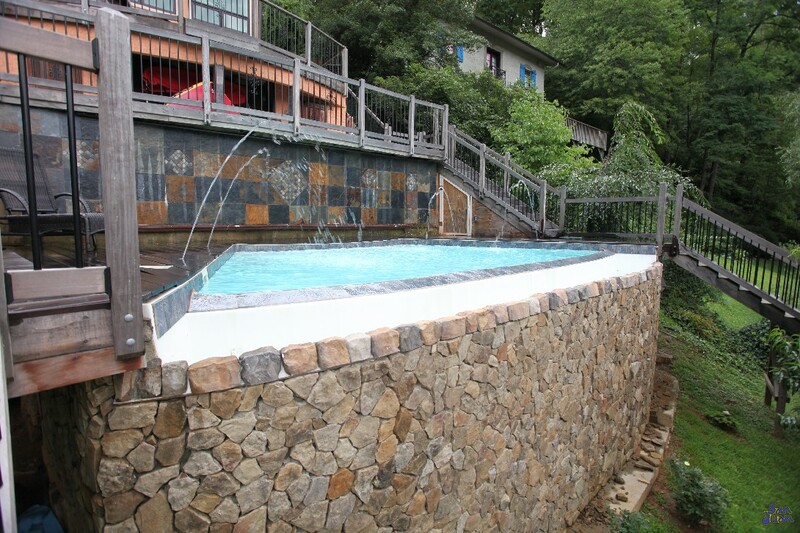 This fiberglass pool is considered part of our free form pool design. Although its walls are not curvy and a traditional free form look, there is not a exact category that this pool falls under. Secondly, The Horizon appears as if it was cut out of a pie and sports a stunning water cascade on its opposite end. This water cascade is known commonly in our industry as a negative edge. Negative edges create an infinity falls illusion for the swimmer when your eye level is even with the water line. By entering into your outdoor oasis, you’ll be walking onto a patio with soothing waterfall sounds. The Horizon is a calming basin that helps to soothe the mind and create an elegant space to relax and unwind. 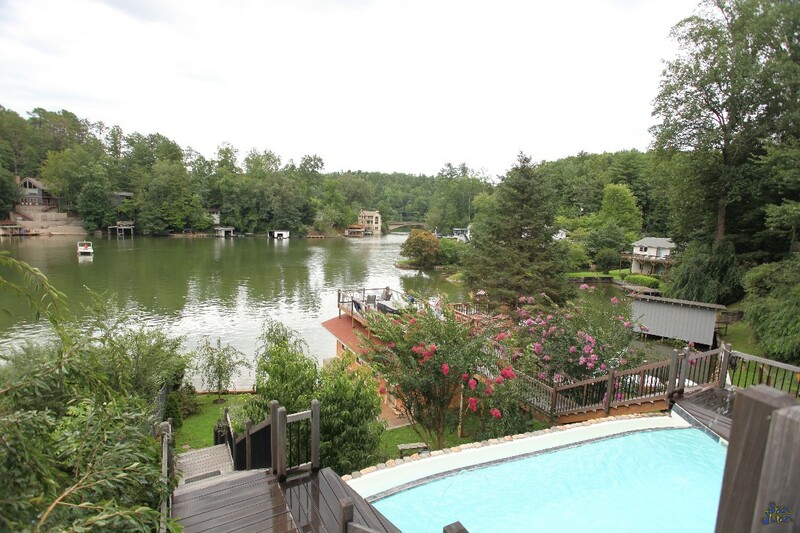 In conclusion, we are captivated by the breathtaking beauty of the Horizon fiberglass swimming pool. This gorgeous layout features a wide set of curved entry steps. It’s free form design generates a pie slice layout that doesn’t fit the mold of any shape found in our industry. In addition, the Horizon offers a comfortable gathering space due to it’s maximum flat bottom depth of only 4′ 9″. Lastly, you’ll feel totally at ease taking in the sight of the Horizon due to its stunning negative edge water wall. This water wall will generate a gentle water tricking sound that is sure to set your mind at ease and make you feel right at home after returning from the office. The Horizon is an award winner that you’re sure to love!